Ovadia & Sons "Nova" reversible jacket. 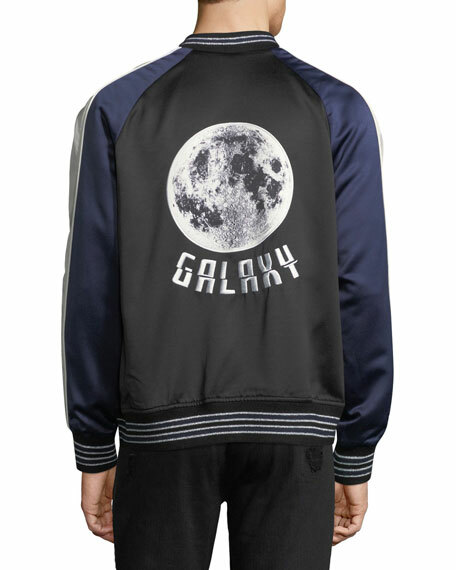 Black/blue side features galaxy print. Brunello Cucinelli biker jacket in lamb leather. Spread collar; snap front. Rib-knit cuffs. Flap chest pockets. Side slip pockets. Straight hem. Made in Italy. Model's measurements: Height, 6'1"/185cm, waist 32"/81cm, suit 40L, shirt 15x34, inseam 32"/81cm. 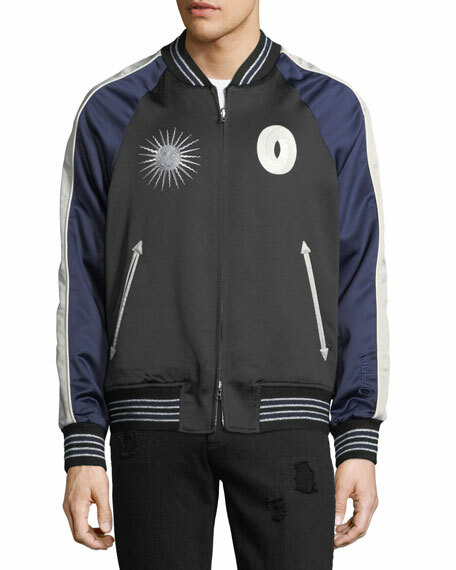 Dsquared2 bomber jacket in patchwork, colorblock pattern. Spread collar; button front. Long quilted sleeves. Chest flap pockets. Side slip pockets. 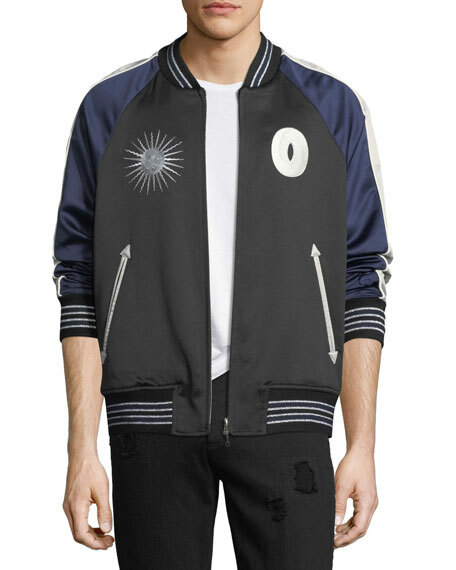 Dsquared2 bomber jacket in patchwork, colorblock pattern. Spread collar; button front. Long quilted sleeves. Chest flap pockets. Side slip pockets. Straight hem. Cotton/polyester/wool/calf leather. Pocket lining, polyester. Cotton lining. Made in Italy.